The Astound is a C7-00, make no mistake about it. It even says C7 on the front. 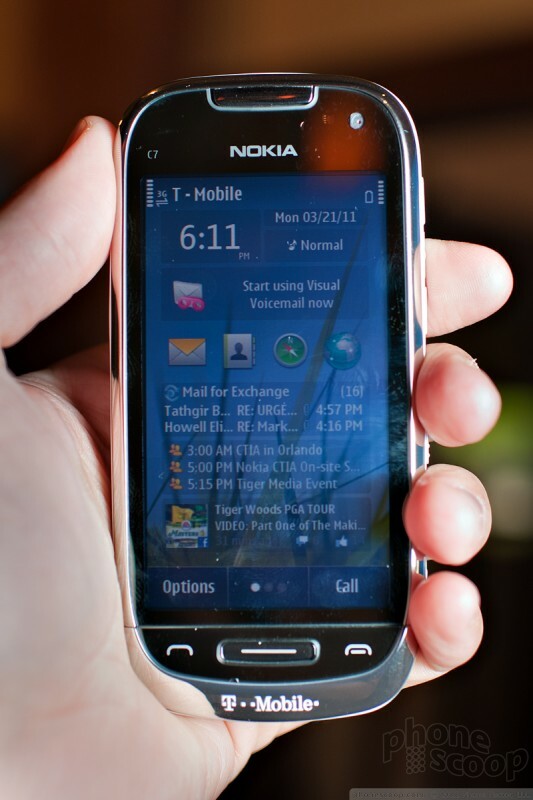 However Nokia has been busy tweaking the software since we last played with a C7, so read on to see what think of this rare Symbian phone for T-Mobile USA. 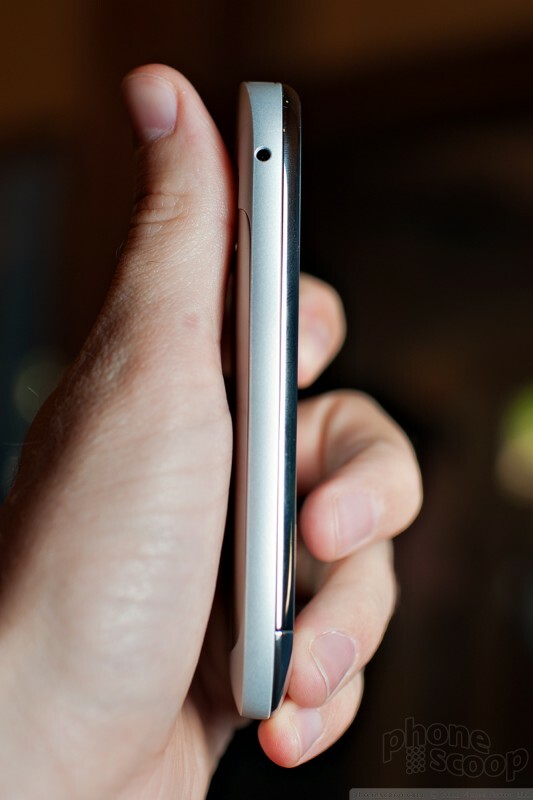 We already did a hands-on with the C7, so be sure to check that out. We're only going to talk about the very top highlights and differences here. The C7 looks and feels very nice. 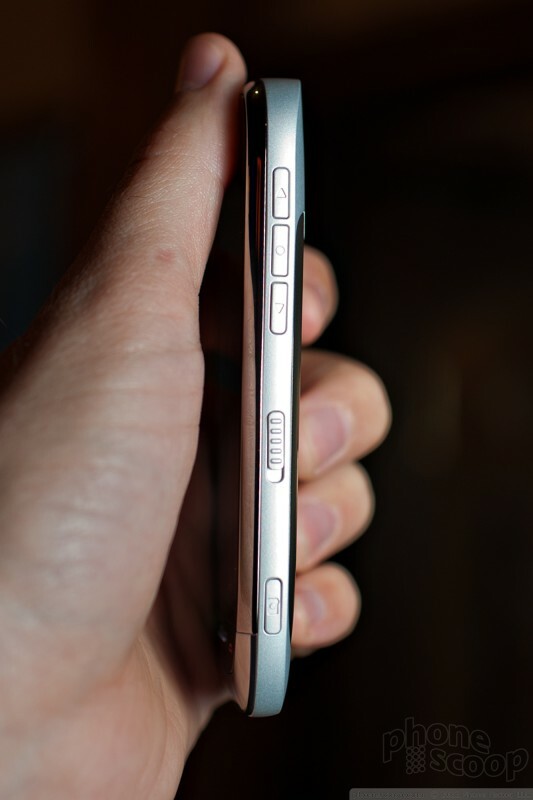 The metal materials and overall quality remind you that Nokia does know what it's doing when it comes to hardware. The newer software that we tried on the C7 isn't glitch-free, but it's not final, and more importantly, it seemed faster and more responsive than before. The capacitive touch screen works well. 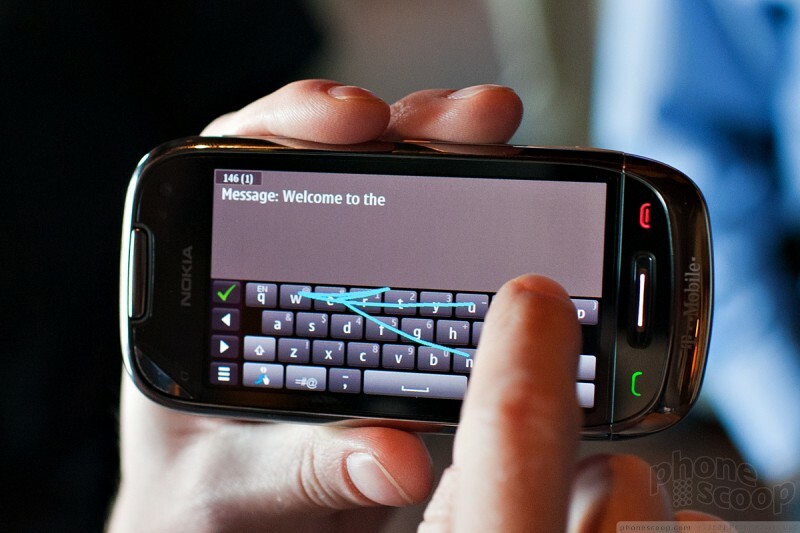 One nice addition is Swype software, which lets you enter a whole word in one quick motion. 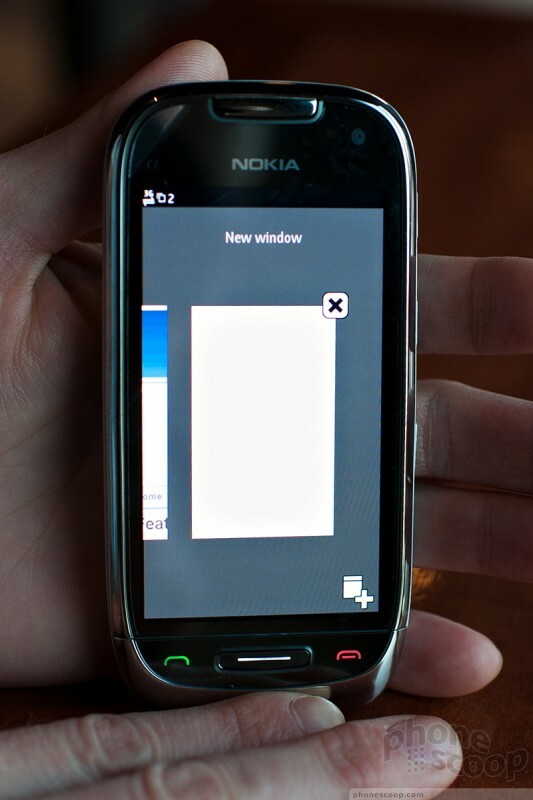 On the beta software we used, it only worked in landscape, but Nokia promised us that it would work in both portrait and landscape by the time it launches. That's a good thing, because the portrait keyboard is extremely crammed and difficult to use by tapping each letter; Swype should make it vastly more usable. 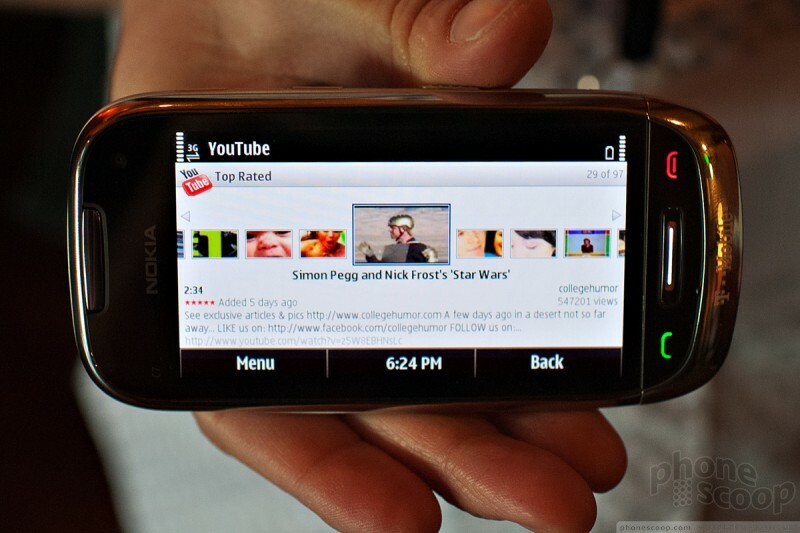 There's also a proper native YouTube app, which is always handy for checking out the latest viral video. The browser has a few new touches, too. You can now enter a url and jump to a new web site by simply touching the address bar at the top and typing, just like on most other smartphones. 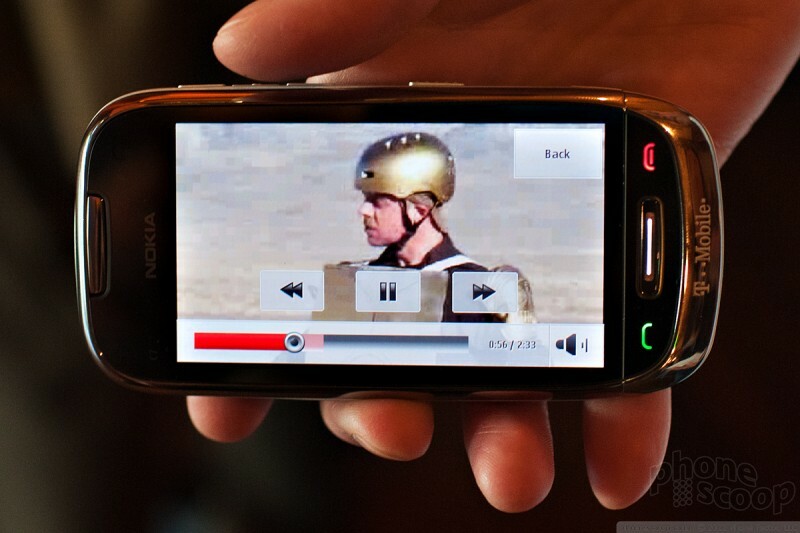 Nokia's playing catch-up here, but it's a welcome change. 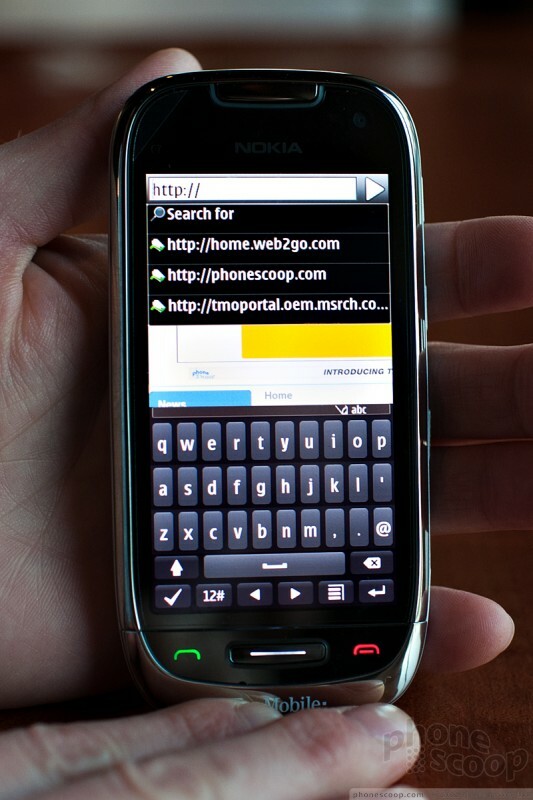 Similarly, Nokia has added multi-window (AKA "tabbed") browsing. It works exactly like on the iPhone. Exactly. All in all, the hardware is nice. 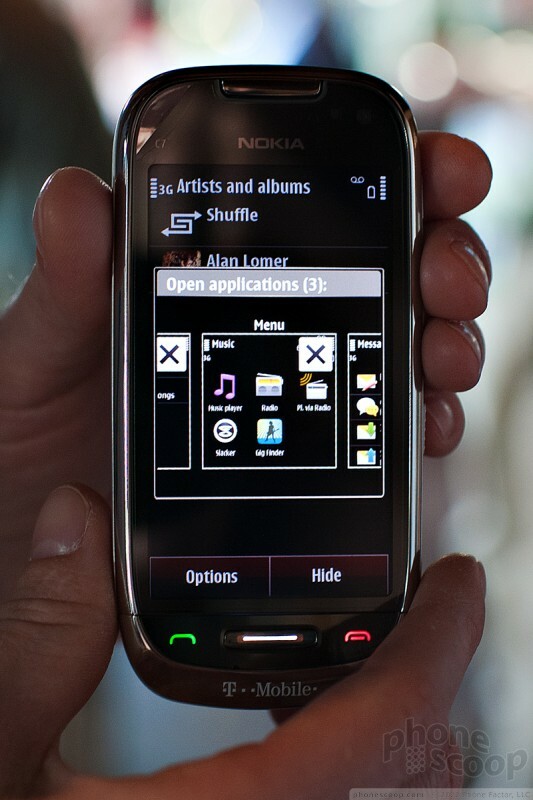 The software is good for Symbian, but that's not saying much. The big selling point of this phone may be the camera. 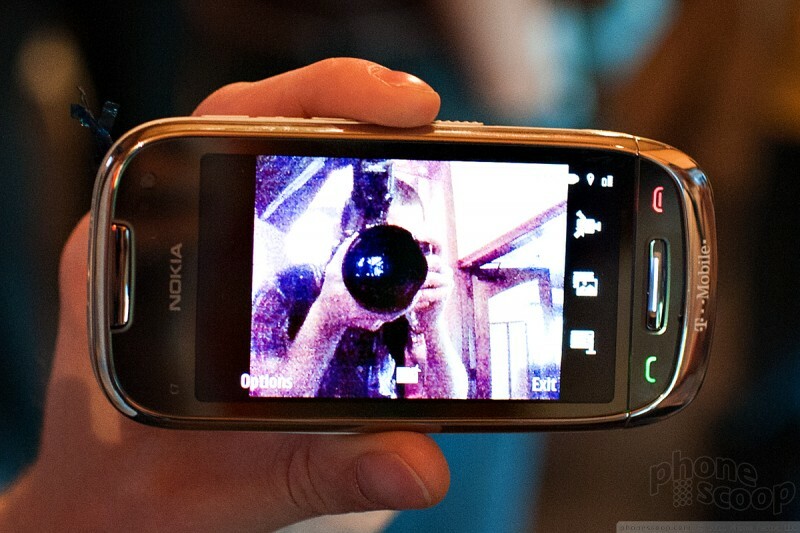 Nokia usually doesn't skip on camera quality, so we look forward to testing that. 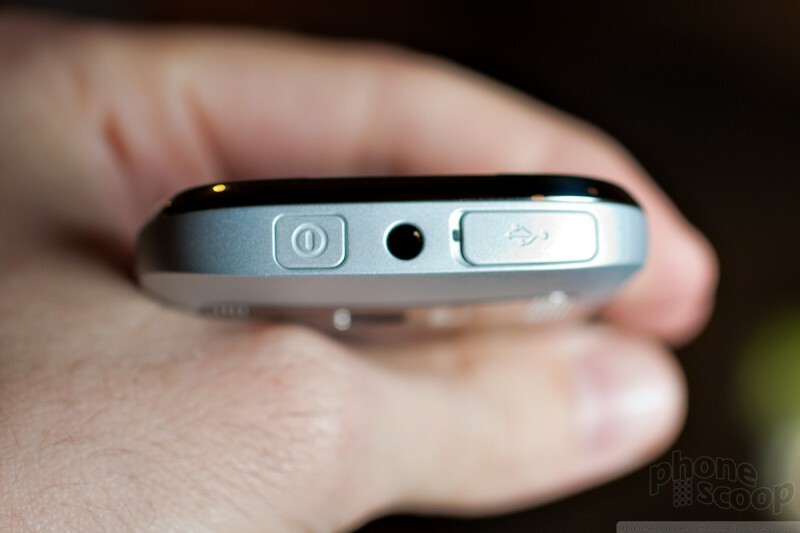 That they kept the front-facing camera is also nice, as that was so often removed on previous Nokias making the leap to the US. 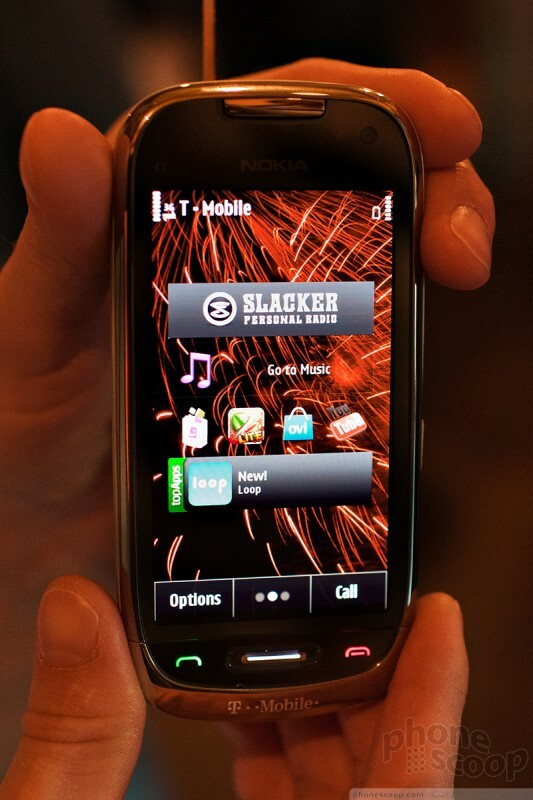 T-Mobile lands its first official Symbian^3 handset in the Nokia C7 Astound. Phone Scoop gives it the full review treatment. 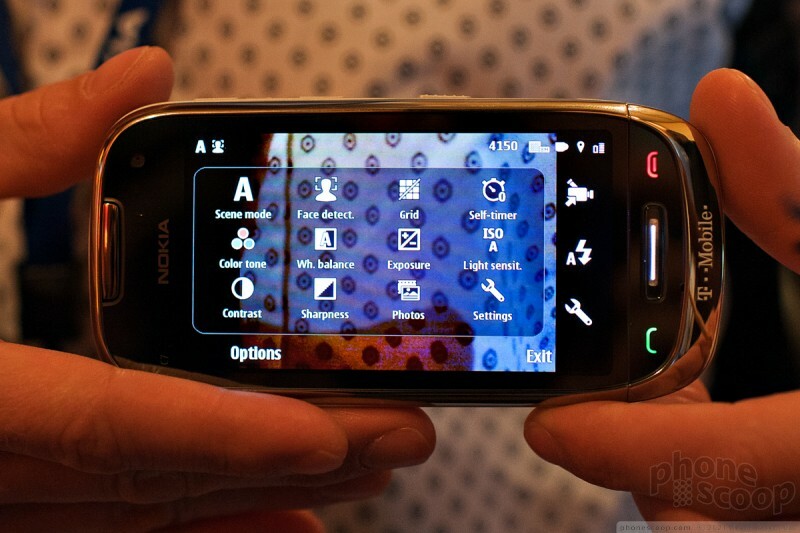 We hit the floor at Nokia World 2010 in London, where Nokia launched a trio of Symbian^3 touchscreen phones. 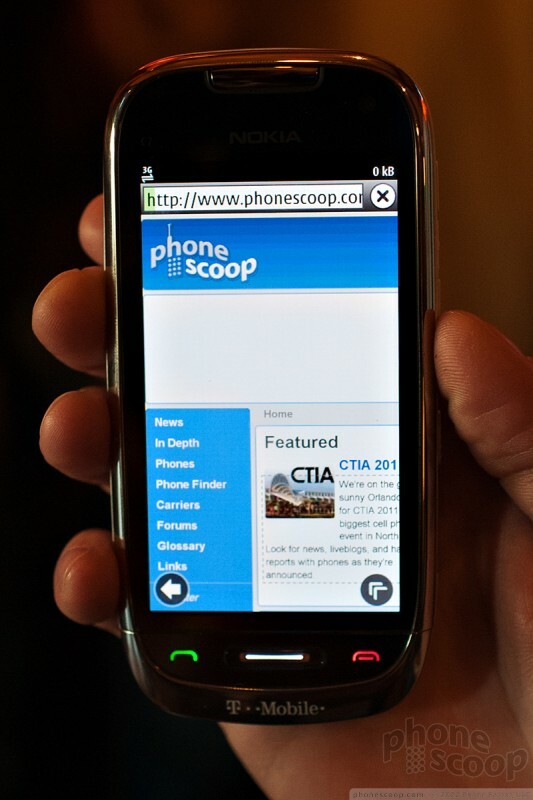 Nokia today announced the Astound for T-Mobile, a new name for the C7-00. 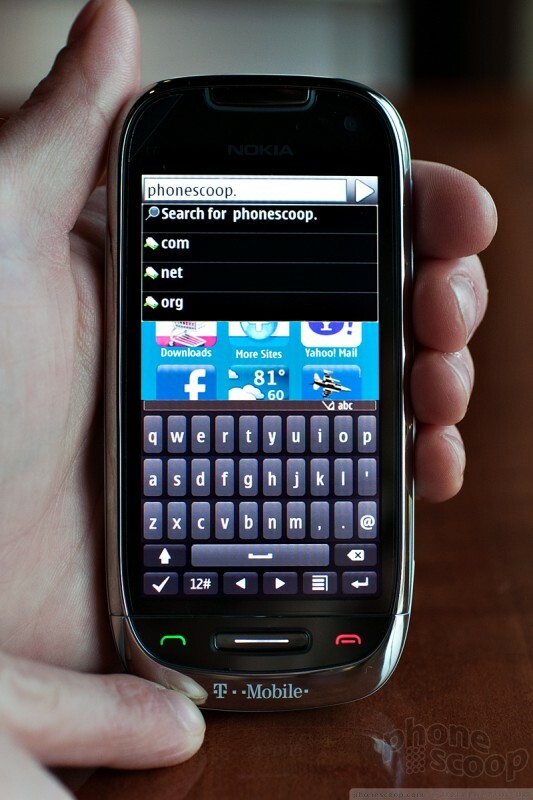 The phone is largely identical to the C7-00 for the rest of the world, and will even say C7 on the phone itself, but will come with a slightly updated version of Symbian^3 that's faster, and has some pre-loaded software including Slacker radio and Swype predictive text entry, which works in both portrait and landscape modes. T-Mobile today announced the immediate nationwide launch of HD Voice service across its entire network, a first in the U.S. The service promises dramatic audio quality improvement during phone calls. 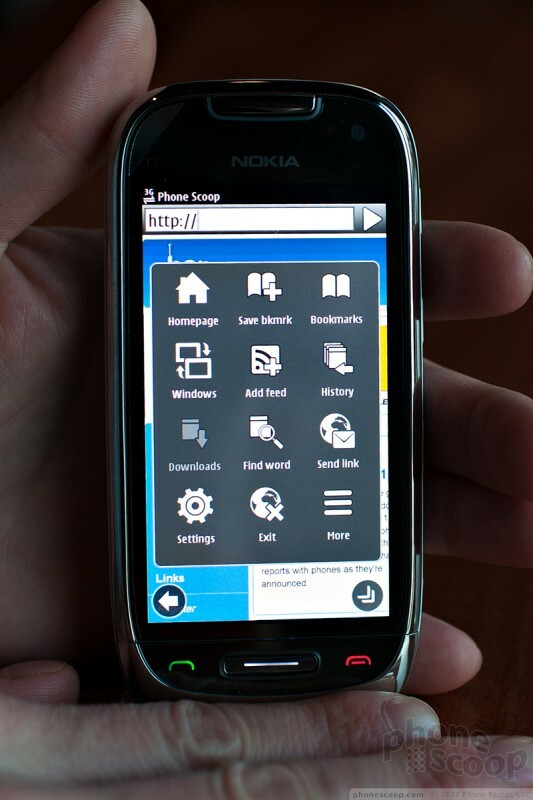 Nokia Beta Labs has released a new bit of software for Symbian^3 devices that transforms the display into an entertaining yet informative landscape. 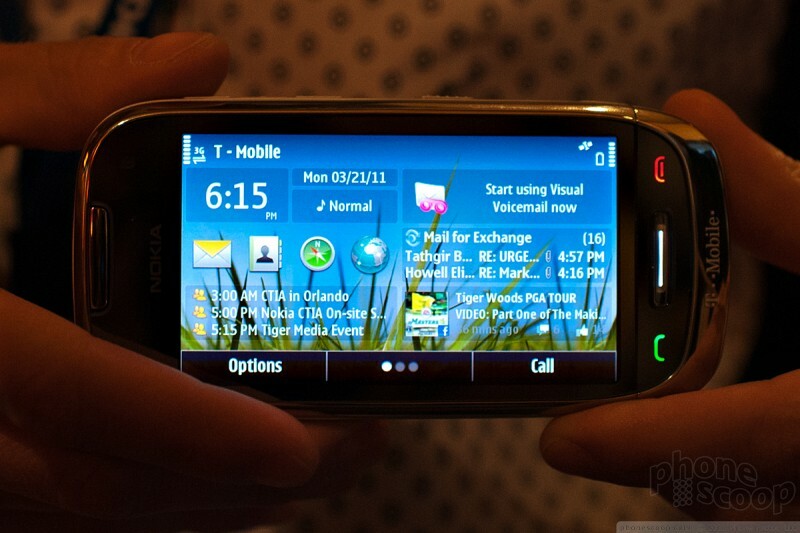 With the software enabled, users can see missed calls, unread text messages, and calendar notifications. It has pentaband 3G so if the AT&T merger goes through it will be able to use both AT&T 3G spectrum and T-Mobile 3G spectrum and when the T-Mobile spectrum gets reassigned it won't be a Edge speed phone like all the other T-Mobile 3G/4G phones out there.